*Our visit was made possible by Warner Bros. London, and this is a sponsored post. (But we totally would have paid for our tickets, because the experience was so amazing). I think my inner child was running rampant when we visited The Making of Harry Potter at Warner Bros. Studios London recently. In fact, I might have had more fun than Ava! She had to wait for me at the end of each exhibit while I indulgently slow-walked, taking in every detail of this extremely well-executed display of Harry Potter memorabilia. 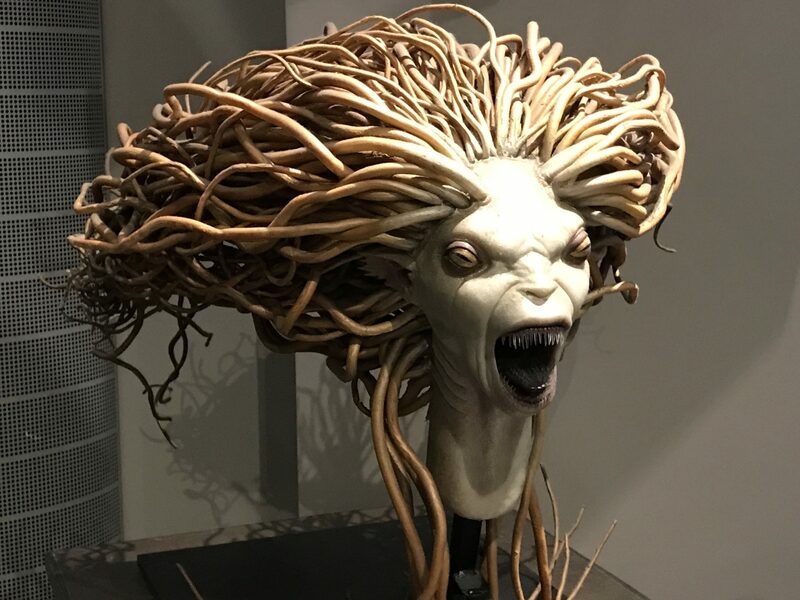 Preserving the soundstages and facilities where they filmed the movies, The Making of Harry Potter at Warner Bros. Studios London has presented many of the sets and props actually used in making the films. With a panache only Hollywood can really deliver, the entire experience is soooo cool for kids and adults alike. Entering this massive hall built inside a soundstage was the first step in our visit, and we were instantly awed by its size and presence. 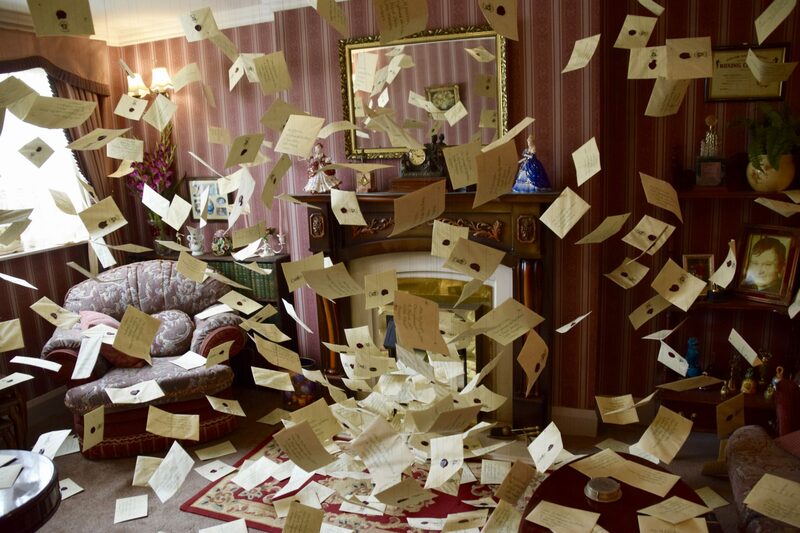 It was quite clearly the actual set from the films, and was even filled with props to bring us fully into the scene. The long tables were set on either side of the hall, as though students were ready for their meal. 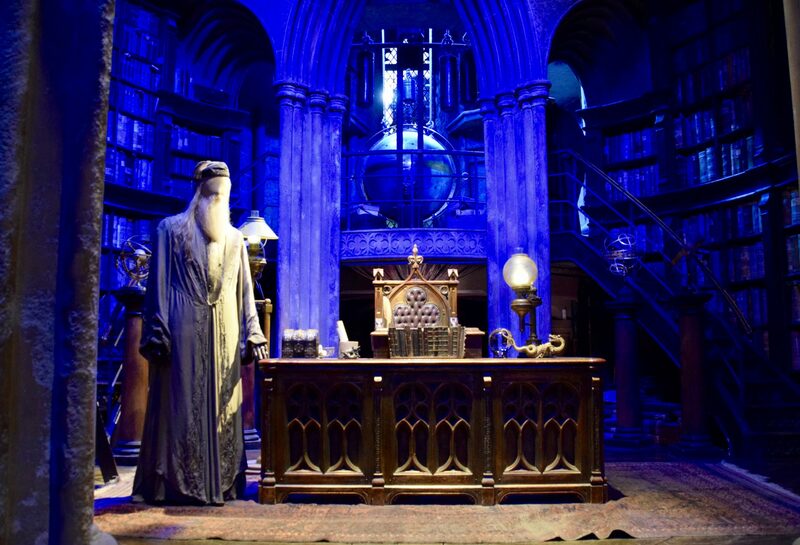 At the front, mannequins dressed in the actual costumes worn by Dumbledore, Professor McGonnigall, Hagrid and the gang made it all the more magical. When we visited in October, there were additional decorations for Halloween in celebration of The Dark Arts. Jack-o-lanterns hung eerily from the rafters, and provided another layer of coolness to the hall. We could picture Harry, Hermione and Ron feeling right at home. 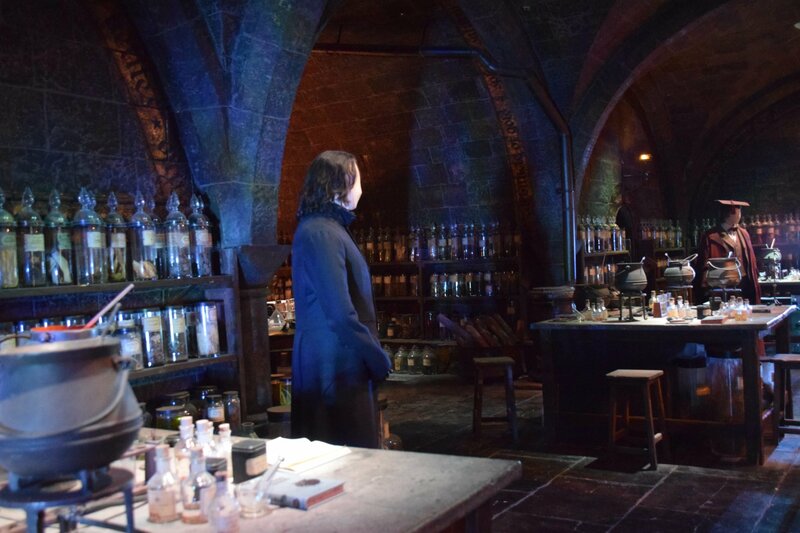 Severus Snape’s cellar rooms from the movies were on display, along with a cool video of the set designers explaining how they created all the jars of unsavory concoctions and bits and pieces of mythical creatures ready for the making of magical potions. Some of the cauldrons were clearly in the midst of mixing up some magical potions, complete with wands in motion automatically stirring the ingredients. Can I tell you how much we geeked out by being to walk onto the train and imagine our trip to Hogwarts from London’s Kings Cross Station, Platform 9 ¾? The train is full size, billowing steam from its engines and filled with compartments each with their own scenes from the various movies. Hermione’s purse, Harry’s glasses, Ron’s sweater – these and many more dot the seats inside the train. It’s not a true visit with Harry Potter if there isn’t some Butter Beer to sample, and this was no exception. 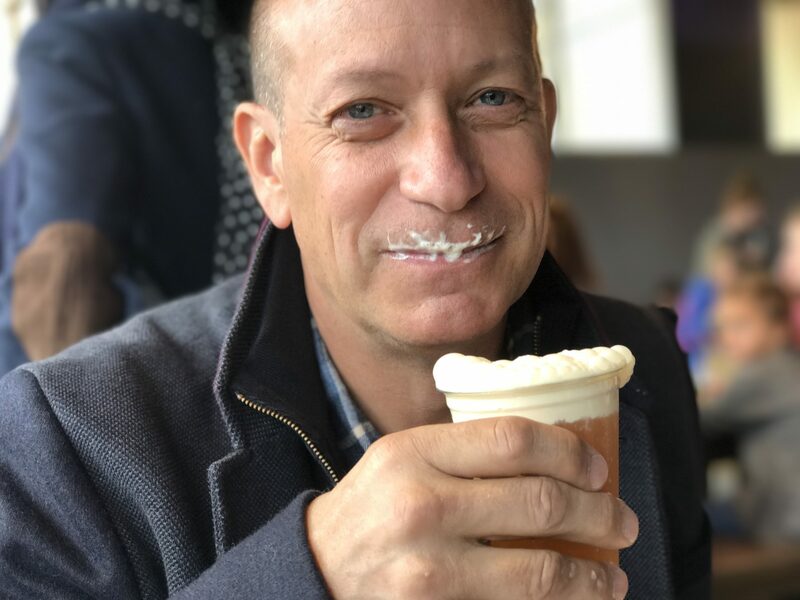 Ava and I sampled a pint each, complete with frothy mustaches to prove it. It was delicious and worth the extra British Pounds for the commemorative mug. 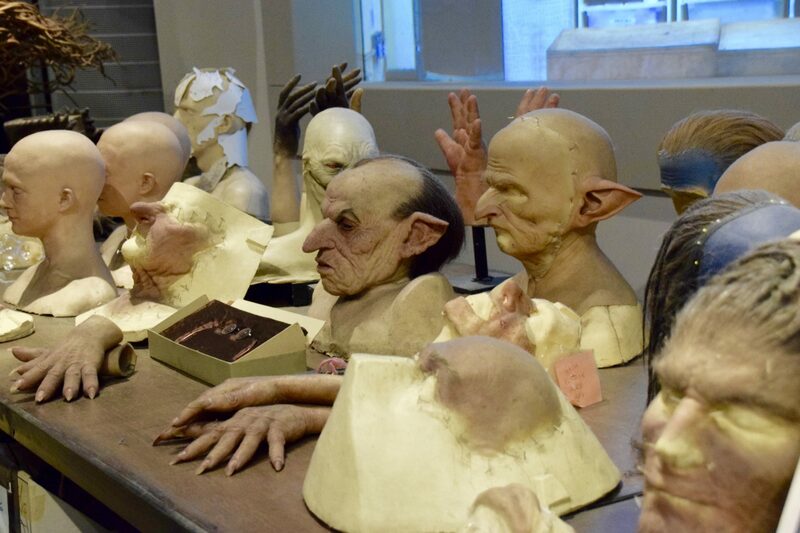 We were fascinated to walk through a very large and detailed display of how the makeup artists created all those fanciful creatures in the films. I don’t want to spoil it for you, but it was amazing to learn how they made Hagrid look so large, how actors were transformed into elves and other unsavories – even down to the fingers and toes. We spent a great deal of time studying all the interesting behind-the-scenes secrets the filmmakers used to create the fanciful worlds we all loved seeing come to life in the films. Videos explain the secrets behind the magic without spoiling the artifice – very well done. Another favorite was Daigon Alley, decked out in mind-altering perspective to appear longer and deeper than it really is. The buildings are colorful and aged, with windows full of wares you might expect to find inside the wand or sweets shop. There are lots of surprises in the Alley, and we wouldn’t want to give them away, so you will have to spy them out for yourselves! The colors, sights and sound sof Daigon Alley were spectacular! The Making of Harry Potter at Warner Bros. Studio London is not actually in London, but a suburb easily reachable by tube and train. We navigated easily from our hotel in the Mayfair neighborhood, reaching the Watwick station in about 40 minutes time. Once there, a motorcoach was waiting at the station to drive us to the studios, just 10 minutes outside of town. 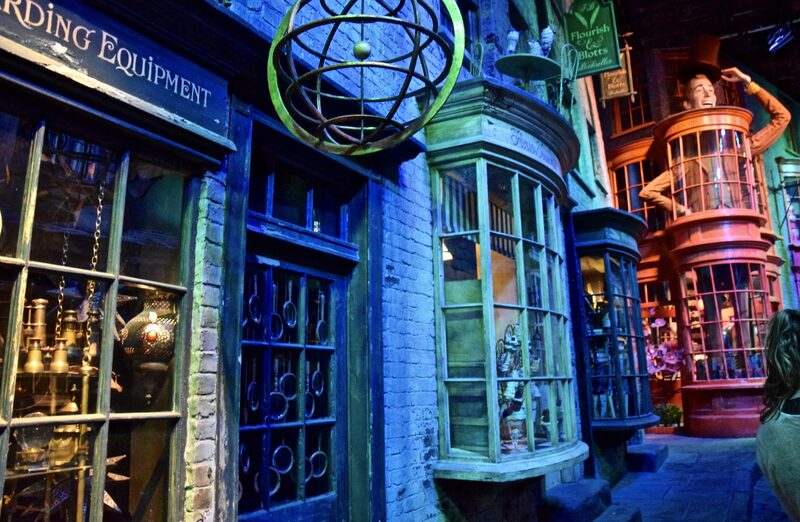 Plan on spending a large part of your day at The Making of Harry Potter at Warner Bros. Studio London. There is so much to see, and no reason to rush through it. From the time we left our hotel until returning back, we had spent about 6 hours total. And every minute worth it! 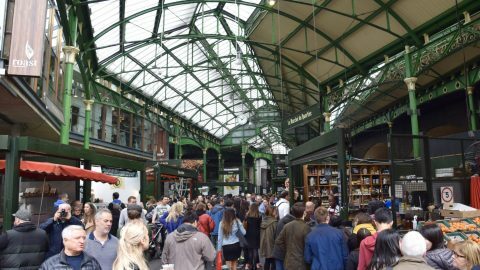 We strongly urge reserving tickets well in advance of your visit, because this tour is very popular and sells out quickly! Tickets can be purchased through the Warner Bros. 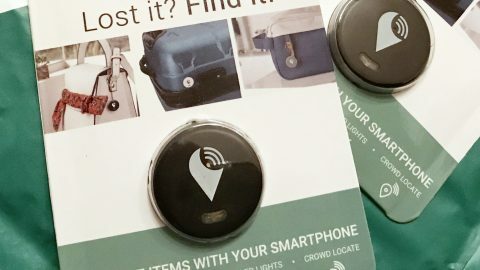 Studio Tour website, and run about $52 for adults and about $41 for kids (under 4 years old are free). Yikes this Scary Mermaid gave us the creeps!